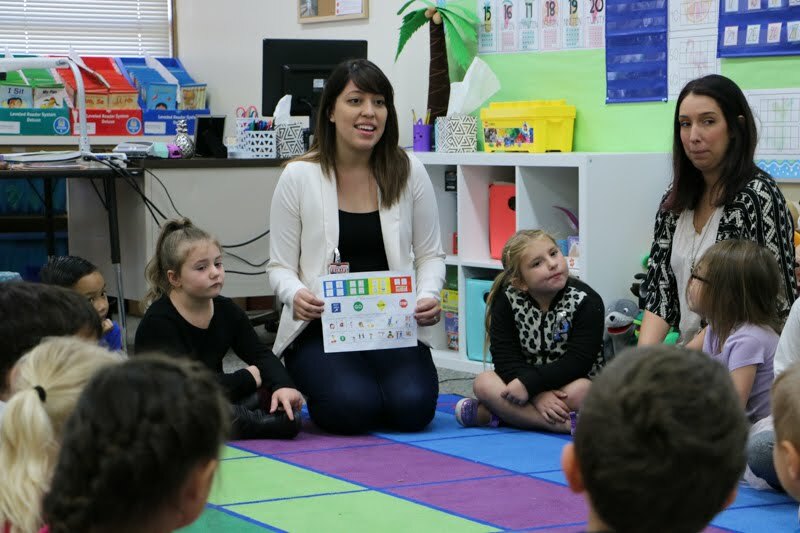 The kindergartners in teacher Kristen Barton’s class are sitting in a circle on the brightly colored carpet, thinking hard and taking turns offering suggestions about how they can recognize and take control of their emotions when they begin feeling frustrated in school. 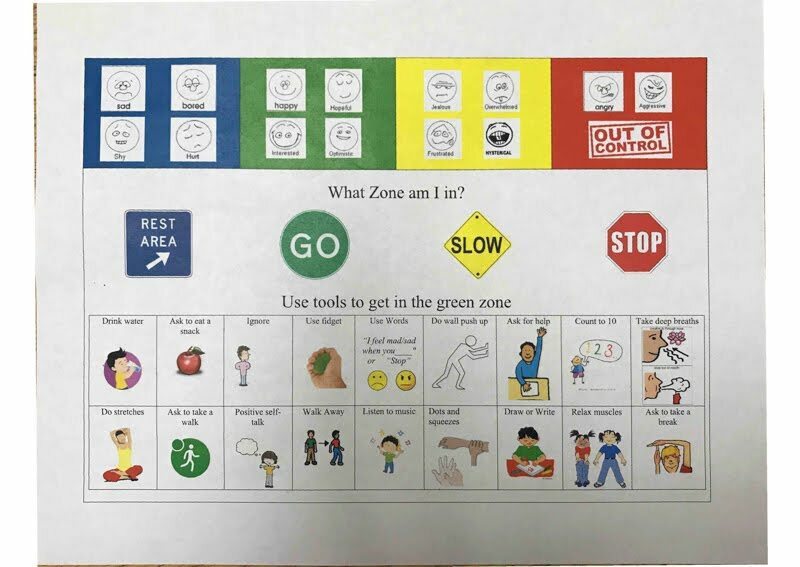 Their answers vary greatly, but Glenwood Heights Primary School Psychologist Marissa Avalon is there to help guide the students in devising healthy, productive means for coping with the stresses that may arise during the school day. This exercise is part of Avalon’s outreach to all students at Glenwood Heights, helping to teach the school’s Positive Behavioral Interventions and Supports, or PBIS expectations, which Battle Ground Public Schools has implemented at all its schools in support of its focus on social-emotional learning. Avalon certainly isn’t alone in what she does for BGPS students. The district employs 21 full-time school psychologists, plus an intern. School psychologists are considered the “case manager” at their buildings, serving both general and special education students. The services they provide include counseling, group work, and guiding the multidisciplinary special education team processes. Glenwood Heights’ PBIS motto is Be Safe, Be Respectful, and Be Responsible, and with help from their teachers and specialists like Avalon, these kindergartners are learning how to meet and exceed these expectations. In addition to general student outreach efforts, Avalon also engages directly with individual students who are struggling to meet behavior expectations. 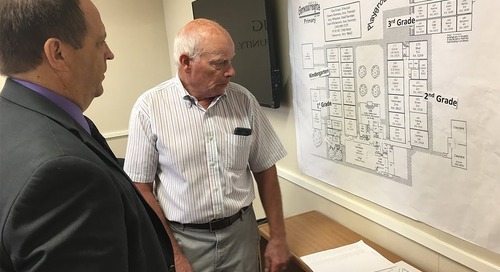 Last year, she brought the district's “Check In, Check Out” support program to Glenwood Heights. 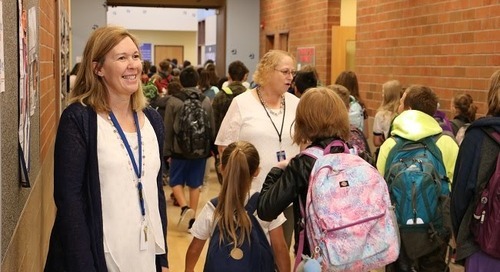 Students who have been referred by their classroom teacher meet with her or one of Glenwood’s four other designated mentors for 10 minutes each morning to “check in” about how they’re feeling and to discuss coping strategies should challenges arise. At the end of each day, they meet again to “check out” and discuss how the strategies worked and plan ways to be more successful in the coming days and weeks. Avalon is passionate about what she does, and that quickly becomes apparent when you talk to her about her work. She realizes that teaching coping skills to children, especially those in the early years of their education, has a tremendous impact on shaping their future success.